Look for Magic 98 on Wisconsin 57‘s Talk of the Town this week! 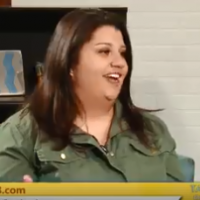 Get introduced to our newest host, Jillene Khan, and find out more about how to stay connected to Magic 98. Get a hold of Jillene on Facebook, or email her at Jillene@Magic98.com!